At the Utah Survivor Celebration, DeAnn Sorenson and her volunteers focused just as much on the support of getting together as they did the fundraising. DeAnn states, “It was fantastic to meet each other to share stories and support. 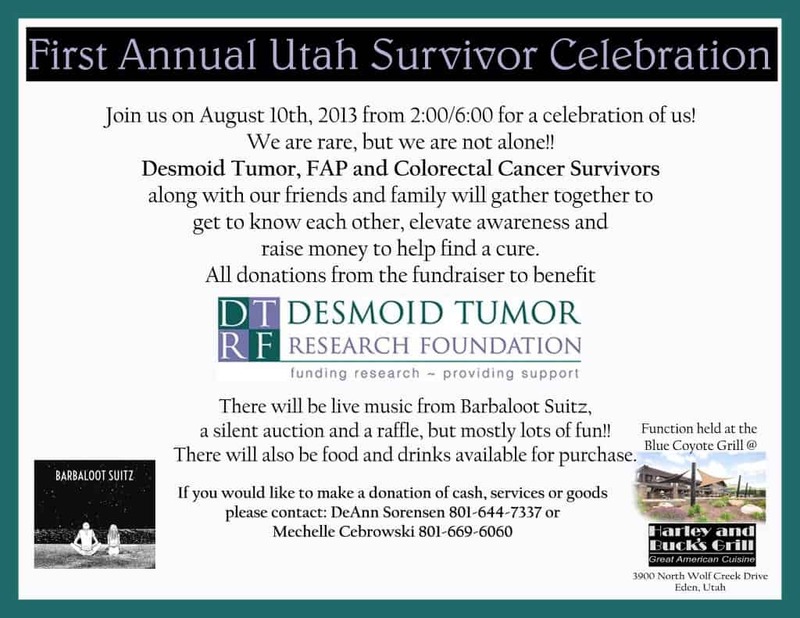 We had 5 desmoid survivors, 2 desmoid/FAP survivors and 2 FAP survivors.” They raised over $1200 for DTRF! It was a great event and they look forward to making it an annual event!